S&D’s trademark team features three seasoned trademark attorneys with over 20 years of combined experience. 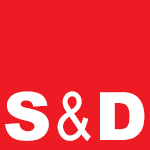 Whether our client is an emerging company with a single brand, or an established enterprise with a multi-national portfolio spanning the globe, S&D’s trademark practice group provides personalized service to meet each client’s individual needs. Our unique combination of experienced practitioners, technological expertise, and nimble size makes our trademark group well-known for its flexibility and innovative legal strategies. From the moment a client conceives of a new trademark or design, we stand ready to assist with every step of the domestic and international trademark clearance and registration process. Through guidelines to ensure proper use and watching services to detect potential infringements, we help protect the goodwill our clients have created in their marks. We assist clients in trademark licensing, ownership transfers and in developing enforcement strategies. When trademark disputes arise, Carr & Ferrell clients have access to our trademark practitioners and a fully staffed litigation team, both with experience in proceedings before the U.S. Trademark Office, World Intellectual Property Organization domain arbitration, and trademark infringement and dilution litigation in State and Federal courts. S&D’s trademark group serves clients in a wide range of industries, including hardware and software, IT services, e-commerce, internet enterprises, financial services, media, entertainment, and healthcare. Many trademark services are available for a flat fixed fee basis. Please review our Trademark FAQs for more information. Contact us for an initial free consultation.